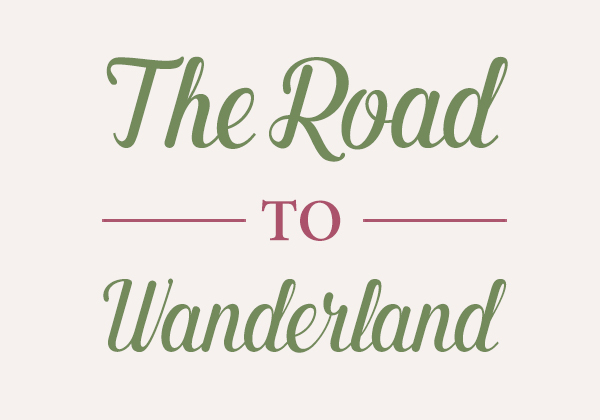 Today, I have a first for The Road to Wanderland – a guest post from fellow travel blogger, digital nomad, and history lover, Stephanie Craig, who I met at TBEX Jerusalem earlier this year. Steph’s coming to visit me here in my little island home on Gozo next week. In this post, she talks about her previous visit to Gozo, the loss of the Azure Window, and the art of travel by intuition. I learned about it on Twitter. I was still lying in bed, my nine-pound dog standing on my back making chattering noises at me, telling me it was unacceptable to be in bed so late in the day. She wanted breakfast. I wanted to sleep, but I made my first move to oblige her by picking up my cell phone and, with one eye open a peak, checking each of my accounts one by one: email, Facebook, Instagram, etc. Until I got to Twitter. That’s where I saw the news that Malta’s Azure Window had collapsed into the sea that morning. I continued to blink at my phone, wondering if the single eye I had allowed open was adjusting to the light properly. Maybe it was playing a trick on me? But it wasn’t. The headline was there, and the window was gone. I burst into tears. The tears surprised me. I was one of the lucky ones. I’d gotten to see the Azure Window in person a few years earlier. Shouldn’t I feel relieved I’d made it before it was gone? The Azure Window was a stunning natural arch that extended off the island of Gozo and into the Mediterranean Sea. The window was famous for being included in television and films (here’s where I tell you it was in a Game of Thrones episode). It had been under threat for years, and the country warned that it would collapse eventually. But no one predicted this year. I cried. I posted about the loss on Instagram and Facebook. I told people they shouldn’t wait to book the trip of a lifetime. Nature isn’t waiting for you. Politics won’t wait for you. Your dream destination doesn’t know you’re out there. Go. Just go. I meant every word, if seeing the Azure Window was one of your goals and you haven’t yet, I’m sorry. Time’s up. (This is where I want to quote Hamilton lyrics, but won’t. You’re welcome). I also started worrying for the country of Malta, and more specifically for the people of Gozo. Gozo is a small island. The Azure Window was its biggest tourist destination. What happens to the people who work in the tourism industry there? The men and women with food carts and those hawking sunscreen and hats, where do they go? Do they spend hours commuting to the larger island of Malta? Do they close up shop? How many sunbathers will come to Dwerja now? But maybe I was being a tad melodramatic. In the weeks after, when I thought about the arch’s collapse, I also thought about everything else I loved about Gozo: the wine, the fisherman who took me out in his boat when I couldn’t get on an official tour, Fungus Rock, and the afternoon I spent chasing down Homer. It’s too soon to know how tourism counts will change without the arch, but there are many other places on the island worth visiting. I wondered for myself, would I ever go back to Gozo? Sometimes you can get a good deal after something like this happens, and it’s after a natural disaster strikes that tourism dollars can do the most good. Maybe, I thought, maybe it’s time I go back. No, I answered myself, not yet. There are so many other places I haven’t been, it doesn’t make sense to go back to Gozo so soon. I dismissed the thought entirely. And then, a week or so later, I met Jo. There are several travel writing and travel blogging conferences held every year. In 2016, I quit my full-time sales job to travel instead. I travel to historic locations and write about them. I’m the luckiest person in the world, in that I love every second of what I do. When a conference was announced in Jerusalem, I signed up. I’d been dying to see Petra, and I could see Jerusalem and then go to on to Jordan afterwards. Serendipity. I’d considered the conference to be work – purely work – and hadn’t considered it a place to ‘make friends’. But within the first few hours, I had met several. It was at lunch on the first day, over a plate of pickles and hummus, when Jo told me she was heading to Gozo after the conference and staying until June. ‘Isn’t it just terrible about the Azure Window?’ I blurted out. I knew right away that it was rude, this woman I had just met had travel plans to go somewhere that included a place that was now destroyed. And here I was, someone who had gotten to see it, rubbing her nose in it. But I couldn’t stop. Travellers and nomads, weren’t we the people who could talk about this kind of thing? We want to go everywhere, see everything. We keep moving. We spend our free time on trips planning the next trip. After weeks talking about the arch’s collapse with non-travellers, wouldn’t this chick understand where I was coming from? Whether she noticed my rudeness or not, she didn’t miss a beat, instead mentioning that she’d confirmed her trip the morning before it happened. Then we moved on to other topics, her love of birds and her future overnight in Larnaca, Cyprus. And wasn’t it great that another traveller at the table, Chris, lives in Larnaca? We snapped pictures of each other’s food (everything looked delicious), and made plans to meet up for the party later that evening. My first trip to Gozo was in my previous life. The one full of cubicles, quarterly numbers, and nice people who were insanely stressed at all times. Every day, every decision was about how to make someone else more money. My week in Gozo was a chance to escape that mentality. I needed every hour of that week to relax before going back into the pressure cooker of the office for the rest of the year. Walking away from that life was the best thing I ever did. Instead of being the weird girl who likes to travel (with an implied too much? tacked on the end), I get to be on the road. I get to be myself. I get to go to bed in Ukraine today, go to Germany in two weeks, and then head to Turkey at the end of the month. I’m free. Instead of being surrounded by people who stay put, I spend time with people who understand my need to move. I can’t stay put, and they don’t ask me to. And new travel friends get that without having to explain it. Another thing other travellers understand is the other half of this equation. I can’t stop travelling, and, paradoxically, travel isn’t so serious. You can jump on a plane and be somewhere. Tomorrow. Life is set up to make the art of ‘going’ possible. At the end of the conference, I had invited half a dozen people to come see me in Sofia (in all seriousness, I meant it guys). And I had invitations to different places near and far, including an offer to come see Jo on Gozo. While I hadn’t had a reason to go back before, now I did. I had something else in addition to a reason, I had a deadline. Skyscanner reads my mind (or my computer cookies) better than anyone else. I started getting emails about ticket prices from Sofia, Bulgaria (where I’m based) to Malta. And I kept pretending not to see them, until one day they hit a price I couldn’t ignore. Wizz Air, the budget airlines to beat all budget airlines, had rock bottom prices for late June, conveniently during the tail end of Jo’s time there. For six weeks, the universe had been sending me signal after signal, telling me I must go to Gozo. There’s something I must do there, or see, or maybe taste. I don’t know what it is, but the universe wants me on a tiny Mediterranean island. If the universe wants me on an island in the sea, why am I fighting it? Ticket purchased for late June, the trip marked in my travel schedule, I’ve been thinking about all the ways I found Gozo to be enchanting. Mesmerising. Dazzling, but in the quietest way possible. Dwerja: yes, there’s no Azure Window. But there is Fungus Rock! It’s a stunning rock immediately opposite where the arch was. It’s so pretty it’s worth the drive out there alone (although a good marketer might want to come up with a more palatable name). The Citadel in Victoria: the views of the countryside from so high up are delightful. Mgarr: I wasn’t able to see this beautiful bay because a certain now-split power couple were filming a movie and it was closed. Ta Cenc Cliffs: Another miss from my first trip, but this one is my fault. Even a small island like Gozo can’t be seen in just a week. Calypso’s Cave: Gozitans claim this cave in Ramla Bay to be Calypso’s Cave from Homer’s The Odyssey. I did get to see it; however, my photograph of it is less than ideal. I’d love a second chance for a pic (and another dip in Ramla Bay wouldn’t hurt either). Gozitan Cuisine: Something in the middle between Italian and North African, I loved my dinners on the island. Especially if rabbit was involved. What about the Island of Malta? I love UNESCO World Heritage Sites. And the Hypogeum of Ħal-Saflieni is, for me, the UNESCO World Heritage Site that got away. A 5,000-year-old burial site, archaeologists have found the remains of over 7,000 people buried here underground. The necropolis, carved into the rocks, also has beautiful murals and details. On my first trip, I saw two of Malta’s three UNESCO World Heritage Sites: The Megalithic Temples and the City of Valetta. But the Hypogeum requires purchasing tickets weeks or months in advance, because only eighty visitors are allowed per day. This time, my tickets to the Hypogeum are booked. I’m not taking any chances that I’d miss it a second time (although a third trip to Malta wouldn’t be so bad…). Sometimes I pick a destination after months of careful deliberation of where I should go. But that kind of trip planning is rare. Instead, places usually ‘feel right’. There are signals. Serendipity. Signs. Things click into place. Or sometimes it’s a complete whim. There’s so much pressure when you’re on a ‘trip of a lifetime’ to have a ‘trip of a lifetime’. Maybe this is too millennial of me, but I can’t even. Instead, I prefer small steps that add up to large travels over time. I like to pick out a corner that I haven’t seen before, and then go on to the next corner. In this way, everything is a moment to be enjoyed, and nothing is endowed with too much power. Going back to Gozo fits this preferred way perfectly. A short jaunt to a quiet place that I loved, to visit a new friend, revisit some beautiful places, see the one place I regret missing the first time, and relax. Quiet, slow travel is as much about the once-in-a-lifetime necropolis visit, as it is the bottle of wine with dinner and feeling the sunshine on your face on the drive over. Unlike my first trip there, filled with the pressure to relax on command, life now is both constantly exciting yet ever quiet. Stephanie Craig is an amateur historian and travel blogger. An American currently based in Sofia, she writes about history and travel at historyfangirl.com and co-runs the blog Sofia Adventures along with Allison Green. I really love this mindset of traveling by serendipity. I used to do it a lot, and these days strategic planning plays a larger role. On one hand I’m inspired to embrace more gut instinct! On the other, I want to visit Malta on purpose. I have been seeing your Instagram posts about Malta. You have inspired me to add it my list! Oh, and BTW, the cover image is a stunner! Thanks Ajay! Malta is wonderful, and lovely little Gozo now has a very special place in my heart. I’m also curious about Sophia! We’re talking about visiting Bulgaria soon. We’ve heard great things about the food and the vibe.